When thinking brings pleasure. When thinking brings pleasure? 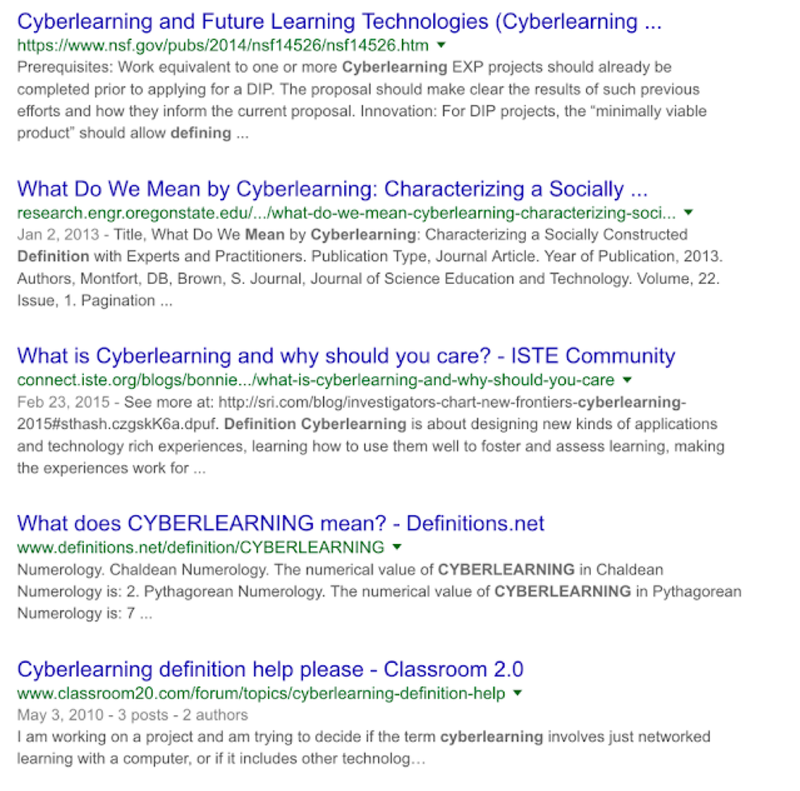 : How much of “cyber” in “cyberlearning” and "cyberthinking"? “Computer based technologies, including robotics and Artificial Intelligence, entering all aspects of society, including private and professional life of millions of people. Every week or two some media outlet issues a new article of a video about learning how to code, computer literacy, the importance of the informatics. General public is not aware, however, that slogans like “We need to teach students coding”, “Student have to learn informatics” and similar, have been around since the begging of mass production of personal computers, meaning, for about 30 years already. And not only in America. In Russia, for example, all university students had to learn how to code using MS Basic and FORTRAN since yearly 1980s (at least). Since late 1990s all high schools in Russia were teaching informatics. Maybe, that is one of the reasons that the match between the U.S. and Russian cyber forces looks like a draw (at least) despite the huge technical and financial advantage of the U.S. (“Why Did Russian Cyber Forces Beat Their U.S. Adversaries in 2016?”). BTW: If everything goes according to a plan, in the near future all Russian schools will also be teaching game of Chess (it looks like in Russia they really want to force everyone into thinking - what a dictatorship!). This is one of the reasons for reignited urgency for reviving 30-year old slogans. For example, on December 12, 2017, in his Testimony Before the U.S. Senate Committee on Science, Commerce, and Transportation Subcommittee on Communications, Technology, Innovation and the Internet, Vice President AI and IBM Q, Dr. Dario Gil said: “There are actions we must take now to ensure the workforce is prepared to embrace the era of AI … we must address the shortage of workers with the skills needed to make advances in AI … We need to match skills education and training with the actual skills that will be required in the emerging age of AI … We can use the example of the adoption of software programming as a critical skill that is taught in many high school and colleges. Some colleges require that all students learn how to code since they consider it a necessary skill for success. Students becoming proficient in programming have a wider range of job opportunities.” (https://www.commerce.senate.gov/public/_cache/files/492f7274-c35f-445e-85c5-de2ff9549f3c/A910A871CB1AEAD789BA779052DE21E2.gil-testimony.pdf). various speakers confirmed again and again the importance of training all U.S. students to coding/informatics/data/cyber/computer skills (although, when asked in what field will be the next breakthrough application of AI, no one named education! Why? Because many AI professionals still have no definition of AI!). However, the current pedagogical approach to advancing cyberlearning is based on an insufficient methodology. Coding is essentially matching something, which was classified or identified with a code. “Classified” or “identified” usually means a set of actions which need to be performed in a specific order under specific conditions, and is usually called “an algorithm”. “A code” represents a set of symbols, which represent specific operations over specific objects with specific properties. The process of coding is essentially composed of two independent sub-processes: (1) development of the algorithm; and (2) assigning a symbolic code (a command) to each element of the algorithm. General public usually makes an equivalence between “coding” and “assigning a symbolic code to each element of the algorithm”. As the result, “learning how to code” (and cyberlearning in general) is shrank to “learning a code”, i.e. memorizing symbolic representation of various commands. In reality, memorizing coding commands without being able to produce a workable algorithm is like memorizing the meaning the individual words of a foreign language, but not knowing the grammar, hence not being able to produce a meaningful sentence. An ability to develop a workable algorithm is the central and the most important ability of coding, programming, and computational thinking in general. In order to be as efficient as possible, the process of cyberlearning should be based on already developed ability of developing workable algorithms. That means, that the development of algorithmic thinking should precede the development of computational thinking. Say a name of any device which comes to mind. They ALL – all devices in the world – have been designed using algorithmic thinking (and some coding, but not at the first stages of the designing). Every single technological process – from the first assembly line to the Amazon warehouse and shipping facility – also has been designed using algorithmic thinking. And, of course, every single code written to operate any device or a process, from a TV remote control to the blockchain technology, has been written using algorithmic thinking. In general, designing a device, or a protocol, or a process, or a program which includes a set of actions which are distributed in time is impossible without the use of algorithmic thinking. Cyber thinking represents a small part the algorithmic thinking and just cannot be developed without having developed a sufficient level of the algorithmic thinking. But the development and advancement of the algorithmic thinking does NOT require any reliance on computer programming, and computers in general. In fact, learning how to code, or write programs is NOT the best way to development of algorithmic thinking. 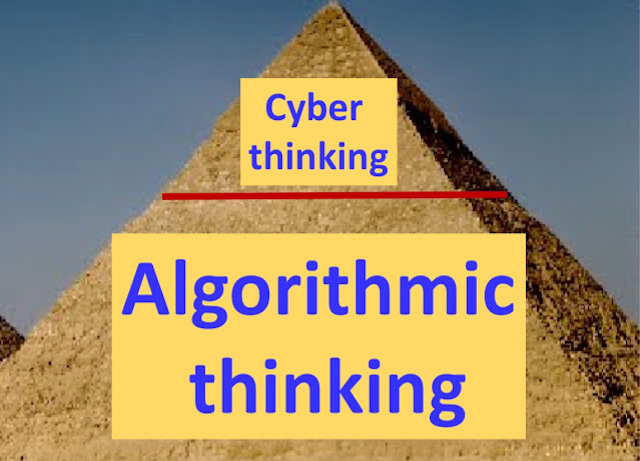 Algorithmic thinking can and needs to be advanced outside (before!) of the computer, or programming, or coding classes. This has to be done within a variety of STEM subjects. Two subject fields, which are the most suited for advancing algorithmic thinking, are physics and mathematics. On how and why physics should be taught to all students: (A) a text, "Who and Why should Learn Physics? 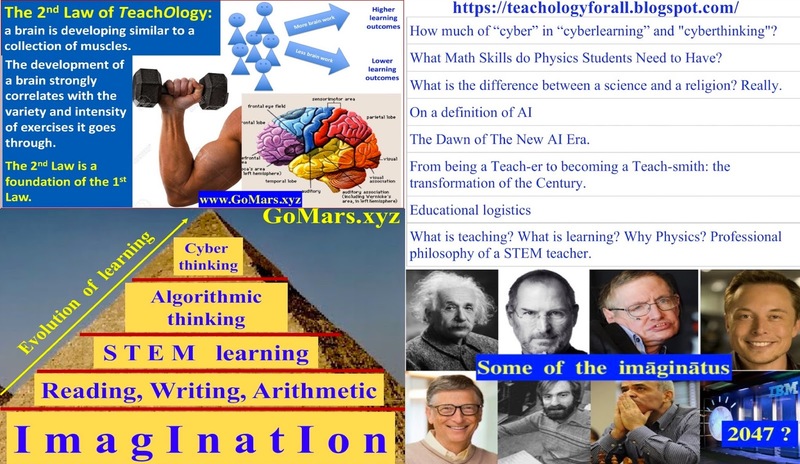 "; (B) slides, "Physics as a Door into STEM Education", slides 59-61 point again at a relationship between cyber thinking and thinking. According to the Wikipedia: “Computational Thinking is the thought processes involved in formulating a problem and expressing its solution(s) in such a way that a computer - human or machine - can effectively carry out. 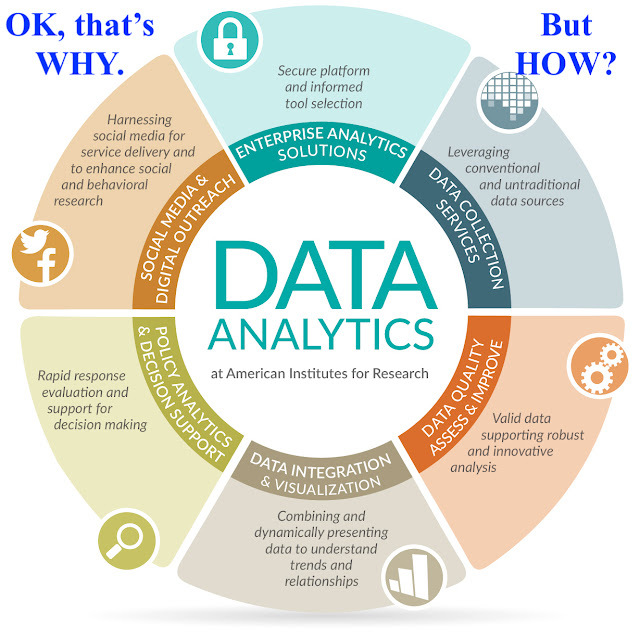 Computational Thinking is an iterative process based on three stages: 1) Problem Formulation (abstraction), 2) Solution Expression (automation), and 3) Solution Execution & Evaluation (analyses)”. Simply saying, computational thinking has two parts: developing the solution of a problem (a.k.a. thinking, or reasoning), and coding (translating into computer operations) that solution using a language understandable by a computer. The later part – coding – relies mostly on memorizing lines of computer commands (or, if using a high-level object-oriented programming – memorizing a set of programming operations). Imagine that you want to learn a foreign language, and you memorized the whole dictionary, so you can translate – both ways – any individual word. 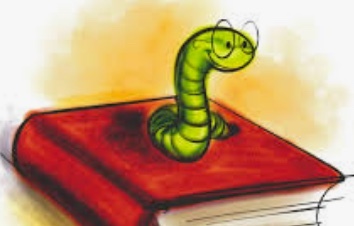 You still will not be able to read, or write, or talk, because you do not know how to compose a correct sentence – for that you also need to know the grammar of the language (and to practice). Exactly the same situation happens, if you learn all coding commands, but cannot develop a correct algorithm which represents the solution of a problem you need to solve. That is why the first part of the definition of the computational thinking – “formulating a problem and expressing its solution” – is the most important part of the “ computational thinking” process. And this is the part which is lacking in school education. And this is the part, teaching of which requires the most of the effort of a teacher. And this is the part which represents the type of a scientific thinking, which has a natural place and natural development when study physics (BTW: in “computational thinking”, “scientific thinking, “critical thinking”, etc. the most important part of a definition is “thinking”). When learning how to solve a problem about how to walk a rope, and when learning how to solve ANY physics problems, a student – under the guidance of an experienced teacher – uses and develops his or her problem-solving abilities, which have a universal nature, or meta-nature (click here for more on what does it mean thinking as a physicist). Everyone who learns physics (from a good teacher who knows the general algorithm for creating a solution tp a physics problem), automatically develops the most important part of a computational thinking - thinking (! ), and can easily learn computer coding – the opposite is just not true (BTW: this is “WHY all students need to learn physics”). 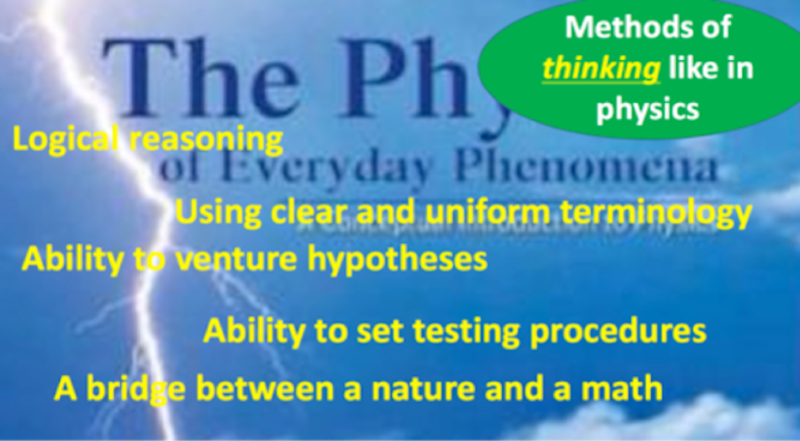 Learn physics helps to advance reasoning skills. And because of that every middle and high school student needs to take a physics course. Physics Is the Door into STEM education! Consistency demands to state that the success in study physics, math, chemistry is impossible without preceding success in reading, writing, arithmetic. Too often these days one can read that students do not need to learn handwriting because they can type, or students do not need to know multiplication table (just an example) because they can use a calculator. People who make those statements don’t know anything about leaning; and people who believe in those statements should stop walking because they can drive a car - the same logic! Once again, I need to stress that the development of the advanced algorithmic thinking is impossible without the development of thinking ability – in general. Expecting the development of the advanced cyber or algorithmic thinking without making sure that the person has the mental and intellectual capabilities required for that, is like expecting that a person who can barely walk would win a Marathon. Any type of thinking is happening in the brain. Advanced thinking requires advanced brain. As I like to say (in "Laws of TeachOlogy"): “If the only exercise students had been doing for twelve years is squats, they will not be good at push-ups and pull-ups. Do not expect from students an ability to think if all they had to do for twelve years was memorizing facts and rules”. I think the following analogy will be useful for IT professionals. The evolution of the growing brain due to regular exercise is similar to the evolution of a CPU due to engineering advances. In order to design an algorithm a person needs to be able to manipulate with a large number of mental objects, mental entities (the complexity of the algorithm is proportional to the required brain power). That ability is based on another fundamental human ability - imagination! A general public is used to think that imagination is only important for acting or writing. The fact is that one simply cannot succeed in any STEM related field without having a developed imagination. Every healthy person can toss one ball and catch it again using just one hand. This ability is natural and does not require any special training (again, for a healthy person). And every healthy person can learn how to juggle with two or even three balls. That would requires spending some time on practicing (a.k.a. effort), but there are no any special restrictions on who can learn this skill. 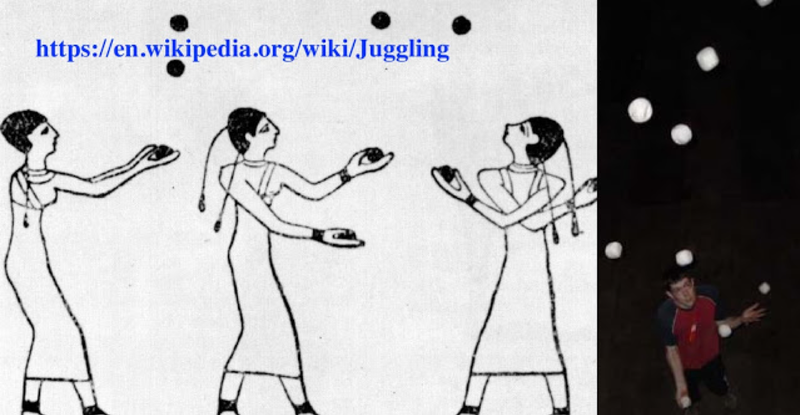 In education, we have a very similar situation regarding who can learn how to “juggle” with various mental objects (abstracts, symbols, terms), and how many mental objects somebody’s brain can handle at a time. For example, understanding and speaking simple sentences is a built -in natural ability, available to every healthy person. However, an ability to manipulate with numbers or symbolic expressions needs to be trained (requires more effort). Every next level of abstract thinking requires more advanced ability of manipulating with a larger number of mental objects. If to solve an equation or to prove a theorem the logical chain of mental actions consists of twelve steps, but a student starts forgetting the previous steps after the fifth, that student will not be able to get the complete understanding of the related material. Learning abstract matters however helps the development of the ability to manipulate with a large number of mental objects in the same way like digging trenches helps to strengthen the person 's body. Imagine someone, who has never been exercising, decided to take a 10-mile hike. After the first couple of miles, one is completely out of breath, muscles are aching, the body is shaking. After pondering for a while, the person decides to turn back home. http://pewrsr.ch/2Dr2RxJ “Half of Americans think young people don’t pursue STEM because it is too hard”). The main reason for dropping STEM-related majors is because schools have not prepared students’ brain for the required workload. 2. insufficient learnability of school graduates. Government agencies, universities, charitable organization, startups and business accelerators are talking the first issue, but evidently the strategy they use is not very efficient (the efficient strategy is based on the advances of The Theory of Human Activity). insufficient learnability of school graduates. Imagination needs to be trained and developed. This type of training requires a special methodology and a specific teaching technique (www.GoMars.xyz). 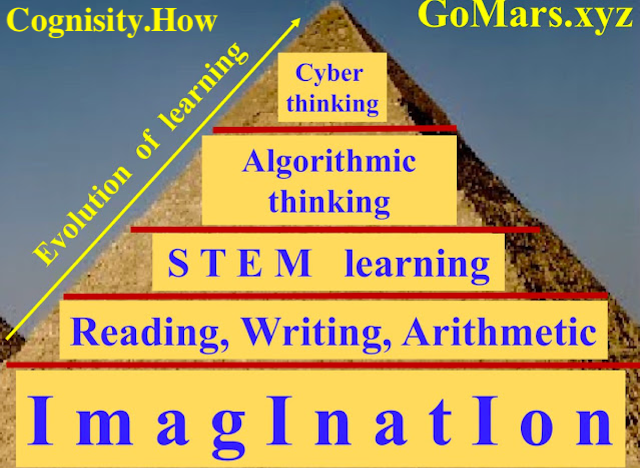 However, in order for physics, mathematics, or any subject, to be an effective tool for the development and advancement of algorithmic thinking, those subjects must be taught in a specific way; i.e. 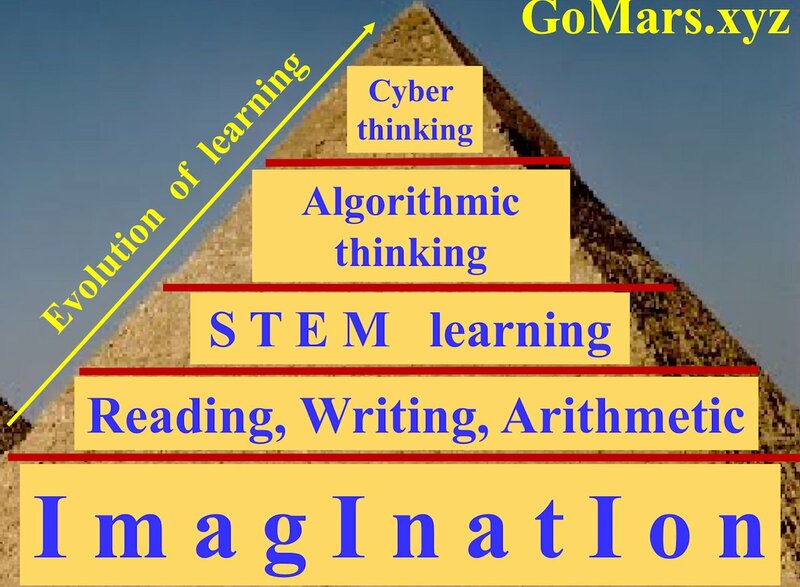 the development of the algorithmic thinking should be one of the specific objectives of the teacher teaching those subjects (ideally, all teachers teaching STEM subjects). Applying AI to study and improve learning and teaching practices: an invitation to a collaboration. But in short, reading and writing is much more useful (hence more important) for the development of imagination than watching TV or playing video games. Why Did Russian Cyber Forces Beat Their U.S. Adversaries in 2016? The Answer Is Rooted In The State Of Education! The state of public education has to be treated as a national security issue! When someone stresses the importance of learning computer coding, know this: all intelligent people use a code – every day! When we read, we decode symbols (letters, words) into our internal meanings and feelings. When we write, we code our internal meanings and feelings into symbols (if you add algebra to reading and writing, you get another level of coding). To demonstrate the importance of using a correct sequence of steps to achieve a given goal (an important part of any logical thinking), a teacher does not need to teach how to code; a teacher can just offer a puzzle (for example, a mechanical one). If you are someone who is still trying to do this, that might mean only two things. Either you are an enthusiast who does not know how people learn – in that case the right step would be seeking an advice from a professional in teaching. Or you are an imposter, who does not really care about students and just uses the opportunity to gain something personally beneficial (usually money). 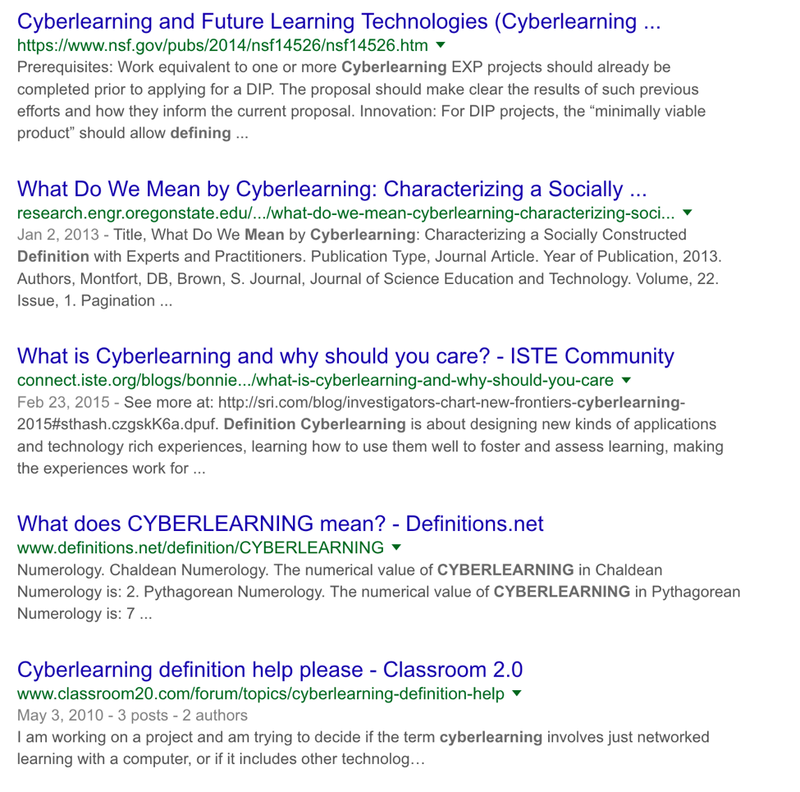 So, How much of “cyber” in “cyberlearning” and "cyberthinking"?? What is really a lot in “cyberthinking” is thinking! From WSJ: "Can Throwing Darts Beat Hedge-Fund Managers’ Stock Picks?" Everyone can often read of hear on a radio or TV something like: "such and such company beat experts' estimates" or "such and such company missed experts' estimates" - and that happens A LOT - I always think that this statement is wrong. It should say that the majority of people called “experts” again made a wrong prediction about company's data". Then I think: "Why do people call them “experts” if they are CONSTANTLY WRONG?". For example, Steven Spielberg is an expert in directing and producing blockbusters; there is a factual proof of that - he is much more right on the money then the opposite. And that what makes him an expert. What does make those people called "experts" be experts if they seemingly mostly wrong then right? What could help is a list of 3 to 5 year predictions of one (each!) expert and comparison with the actual data. But that's a big secret, I suppose. NB for "critical thinking advocates": this post represents an example of a critical thinking. 1. A commonly accepted statement. 2. A counter statement - most critical thinking advocates stop here and call this "critical thinking". 3. An example supporting the counter statement. 4. A proposition of a PROCEDURE which can assess the validity of the statement.